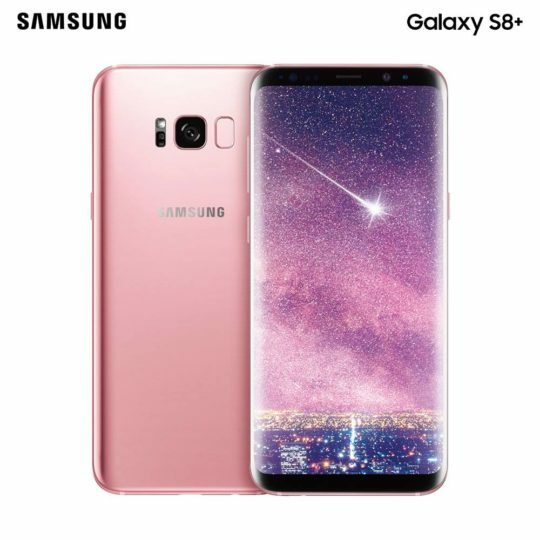 Samsung will launch a Rose Pink color variant of the Galaxy S8+ in Taiwan next month. The handset will be priced at TW 27,900 ($920) and will only be available for a short period of time, before disappearing from the firm’s online store. Obviously the changes are purely cosmetic, meaning this particular variant of the Galaxy S8+ will continue to feature a 6.2-inch Infinity Display, an in-house Exynos 8895 processor, a 12MP rear-facing camera, an 8MP front-facing camera and a 3,500mAh Li-Ion battery. This news comes shortly after Samsung made the decision to rebrand the Coral Blue, Maple Gold and Orchid Grey color variants of the Galaxy S8 and Galaxy S8+ for the Taiwanese market to Ice Lake Blue, Smoked Purple Grey, and Quicksand Gold. It’s unclear whether the company is planning on bringing the Rose Pink version of the Galaxy S8+ to other regions — but we’re hoping it is. After all, it needs to keep selling units, and releasing new colors is one of the best ways of doing so.